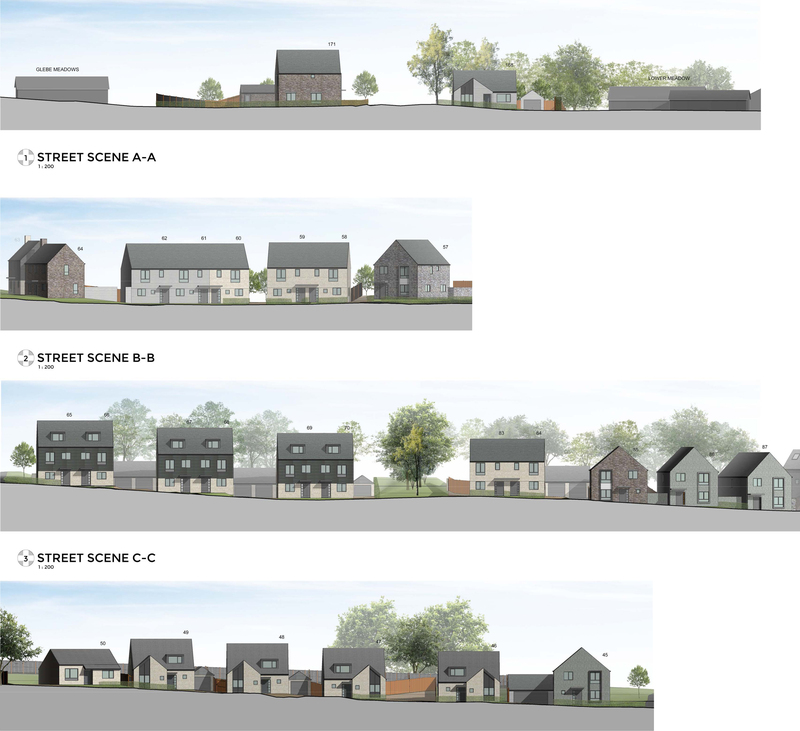 We do applaud the careful study of local precedents and also note your concern not to form a monotonous edge condition as the development forms a relationship to the open space to the west. 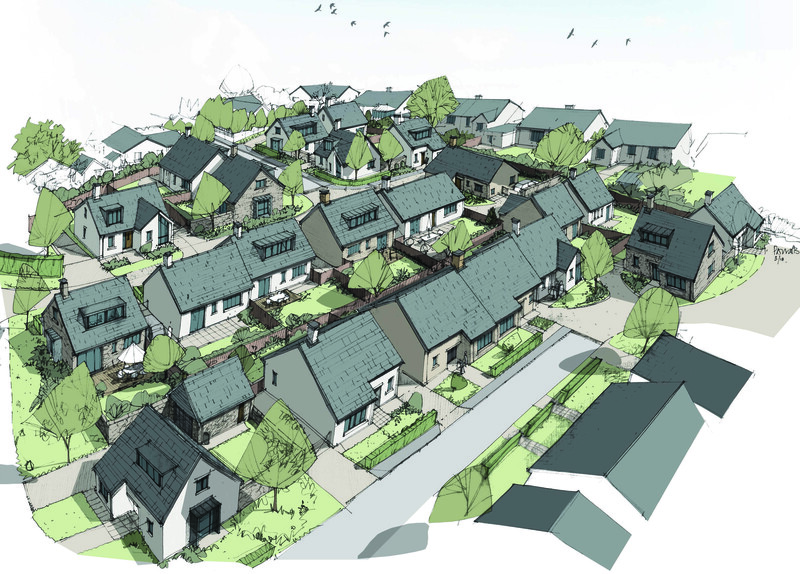 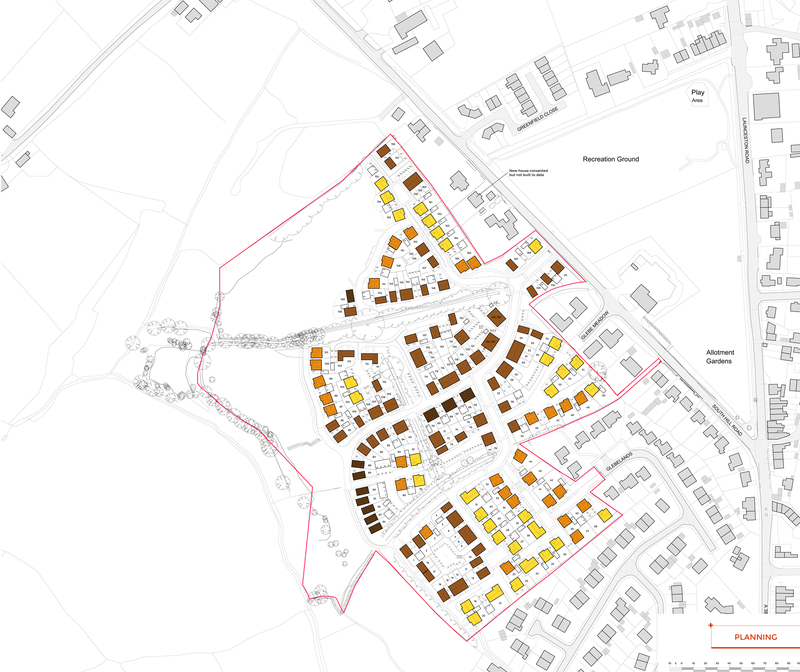 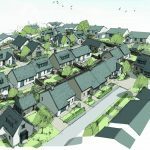 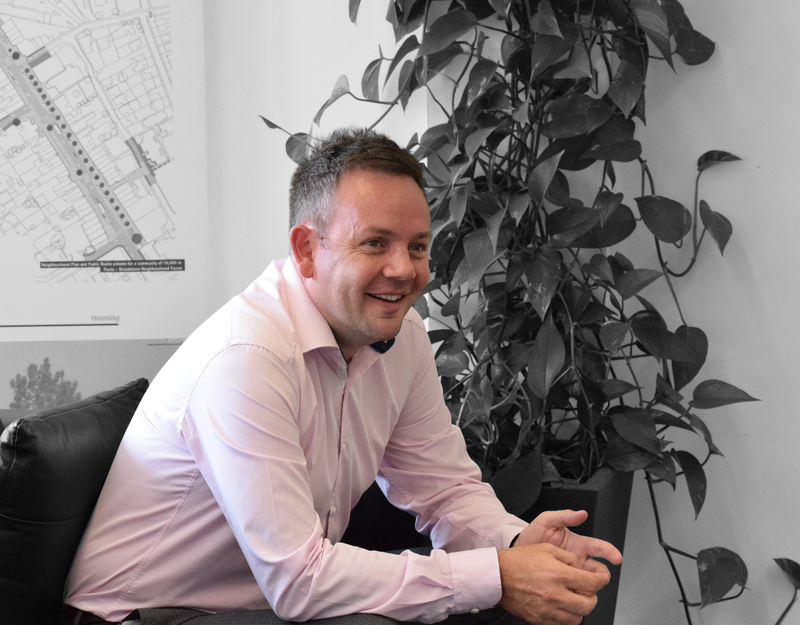 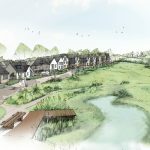 Baker Estates commissioned us to design a detailed master plan for 175 dwellings on a large site on the north-western fringe of Callington, a Cornish town 15 miles west of Plymouth. 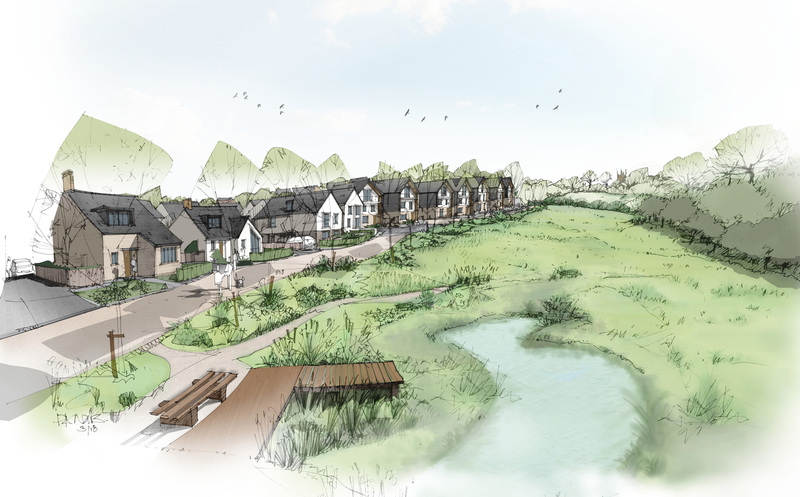 Set on a tumbling, west-facing valley side, the objective was to positively address the green space set aside for recreation and ecological mitigation, plug seamlessly in to adjoining neighbourhoods, and create areas of differing character, both large and small, throughout the scheme. 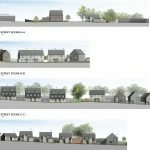 The brief included a large proportion of bungalows and chalet bungalows and the majority of these were grouped close to existing streets of similar properties. 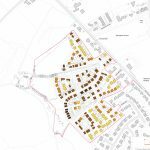 Large mature tree belts sub-divide the site in to distinct cells, helping to reduce the apparent scale of the whole and reinforce the distinctiveness of areas within the site. 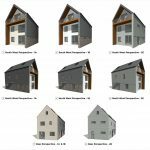 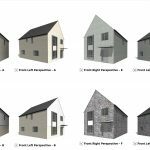 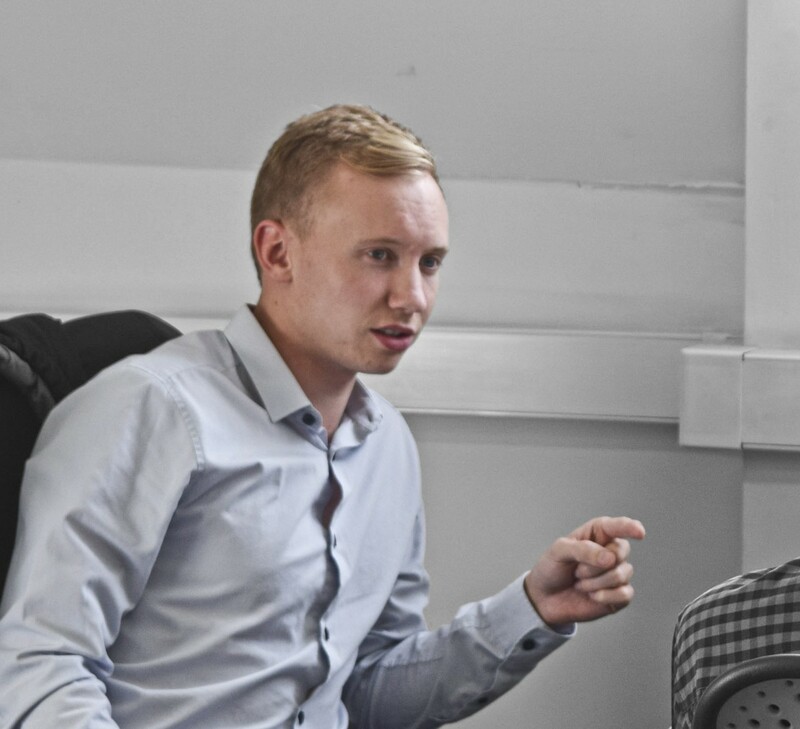 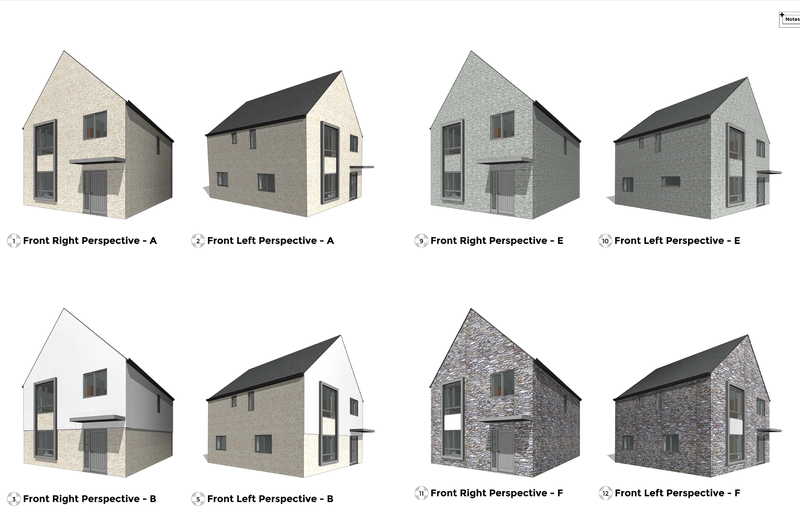 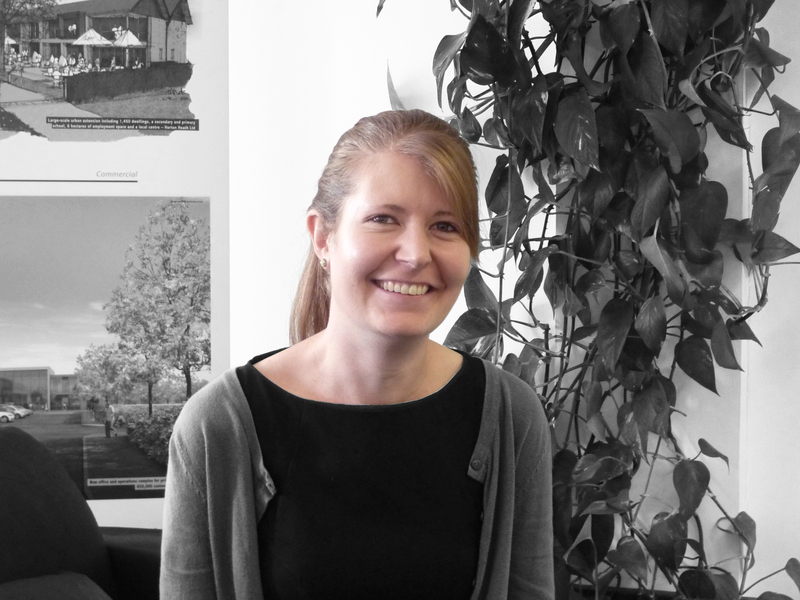 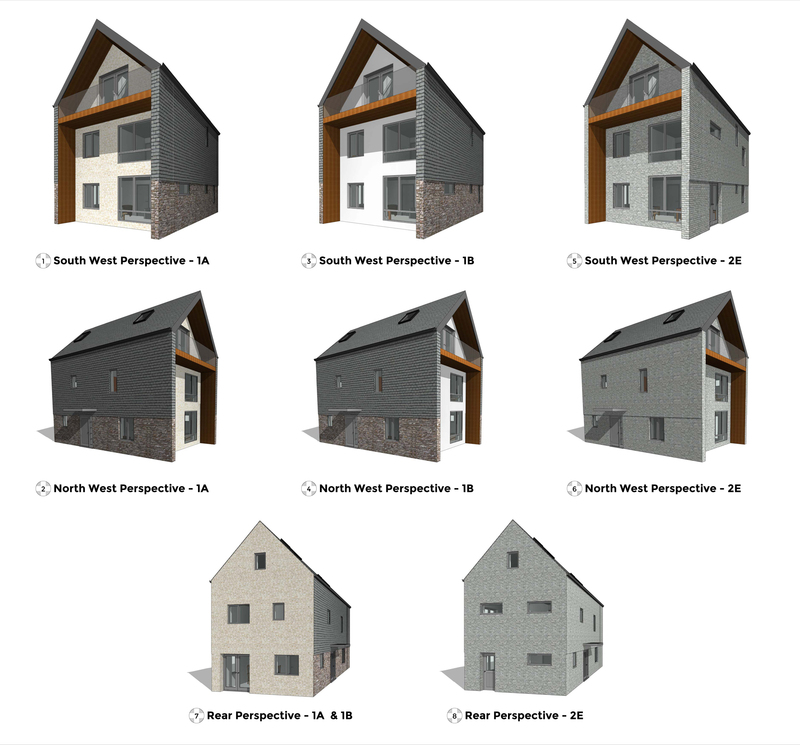 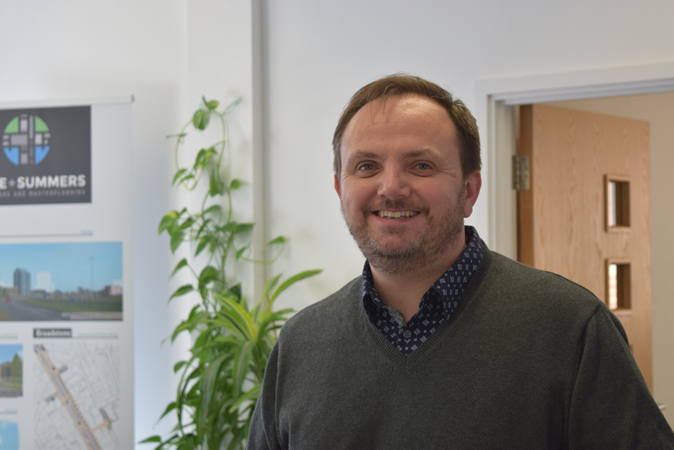 Consultation with local residents, members and the Cornwall Design Panel have helped clarify key design objectives and architectural priorities in a Cornish setting.